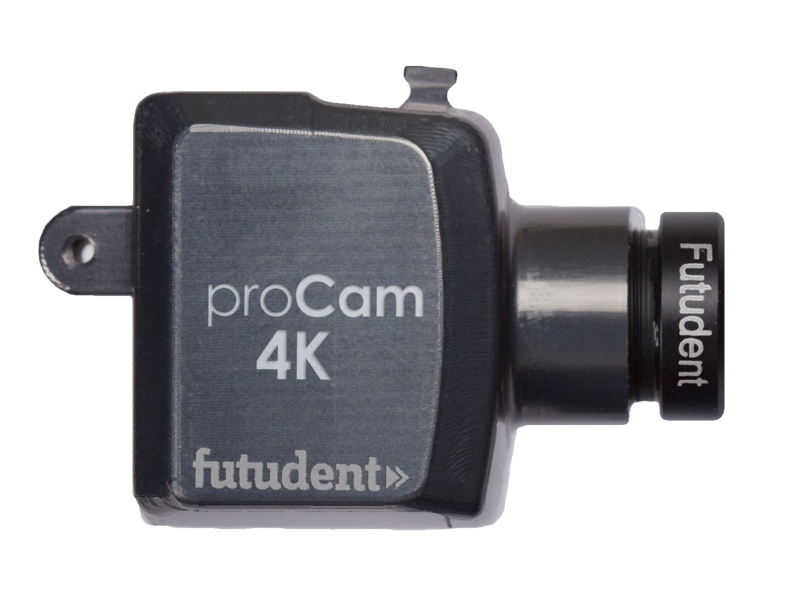 Helsinki, Finland - March 29, 2018 — On March 29th, Futudent will triple it’s product portfolio by introducing two new cameras: the microCam and proCam. These newest innovations represent Futudent’s continued commitment to bringing the benefits of video to every dental professional. Video helps dental care providers explain and document more easily than ever before. This in turn helps patients replace fear with understanding and informs better decision-making for their treatment. 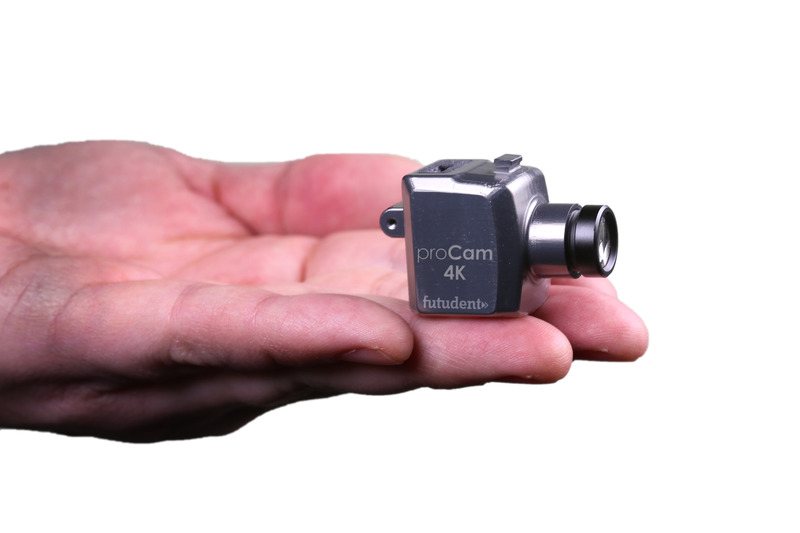 The new proCam is the world’s first miniature 4K (3840x2160@30 fps/ 13Mpix stills) dental camera and can be mounted on loupes or chair lights. It captures stunning video and high quality photography without interrupting the procedure, keeping the doctors focus on the patient. Video is already an integral part of dental education today. Educators and learners use video to demonstrate techniques, evaluate, document and present in universities, CE and private training. Futudent supports these applications, and extends the same benefits to private practice. Video helps dentists visually document and explain cases and treatments to patients and colleagues more easily than a mirror and a still camera. Dentists know that patients who understand their treatment plans are much more likely to accept the new procedure. Video is the easiest way to review treatments with patients and even send visual advice home straight to their smart phones. All Futudent’s cameras are designed to be used on either loupes, chair lights, or a flexible arm, with each having different advantages depending on the application. At 18 grams the microCam is optimised for all day loupe mounting. The 26 gram proCam can also be worn on the loupes, but it’s high 4K resolution means that digital zooming can be used to capture clear, unpixelated close-up video and photographs from the chair light. The eduCam offers a good compromise of both price and performance. 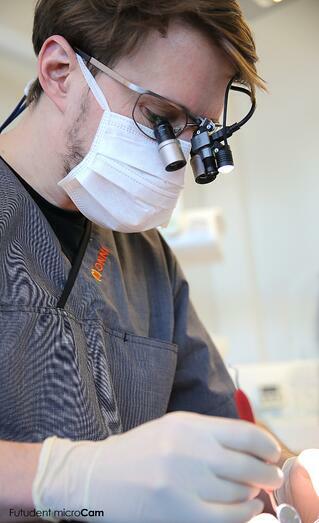 Founded in 2011, Futudent is now the leading provider of dental digital video solutions globally. Futudent is dedicated to bringing dentistry to the digital era with improved and easily accessible treatment planning, patient education, documentation and skills training, at a price point for everyone. Futudent is the only dental video solution provider with integrated hardware, software and cloud, for seamless workflow. Futudent is developed by dentists for dentists, to enhance imaging in everyday dental workflow. To keep apprised of the latest news from Futudent, please visit us at www.futudent.com and follow us on Twitter, Instagram and Facebook. For media inquiries, please contact VP of Sales & Marketing, brian.forth@futudent.com. Futudent is a system developed and owned by Novocam Medical Innovations Oy. The Futudent dental video solution consists of a multi-mount camera, integrated software and an encrypted cloud-based sharing service. Using Futudent, dentists, teachers, hygienists and students can document and share their own point of view through recordings and live presentations that include video, still pictures, voice and text. Futudent is in use with many leading universities and practices globally, providing innovative teaching and research solutions.